What is the Nissan Warranty? Additionally, if you have a model from 2003 to 2010 that’s equipped with a Continuously Variable Transmission (CVT), you’ll also have a 10-year /120,000-mile CVT limited warranty extension. Learn more below, then find how more about Nissan ownership, like how to change the Nissan key fob battery! How Does It Compare to Other Warranties? Nissan warranty coverage compares favorably with other auto manufacturers that posses a reputation for reliability. Just take Honda. Like Nissan, they provide 36-month/36,000-mile limited warranty and 5-year/60,000-mile limited powertrain coverage. That’s protection whether you’re stuck between Ridgeway and Danville at night or are trying to get back to Reidsville, NC after a long road trip. It’s even transferable if you sell your Nissan! From cool crossover SUVs like the Nissan Rogue to premium sedans like the Nissan Altima, warranty coverage keeps you protected. 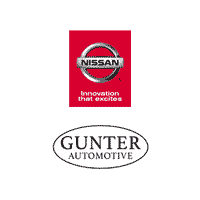 Check out our new Nissan models, read reviews on the Pathfinder and other models, and learn more about our offers and incentives to see the warranty in action, and contact Gunter Nissan of Martinsville with any questions. Where Can I Buy Nissan Altima Factory Rims? Is the Nissan Rogue AWD? 0 comment(s) so far on What is the Nissan Warranty?